Photographs have been sent to Kauffman and Miss Gooding, as requested. 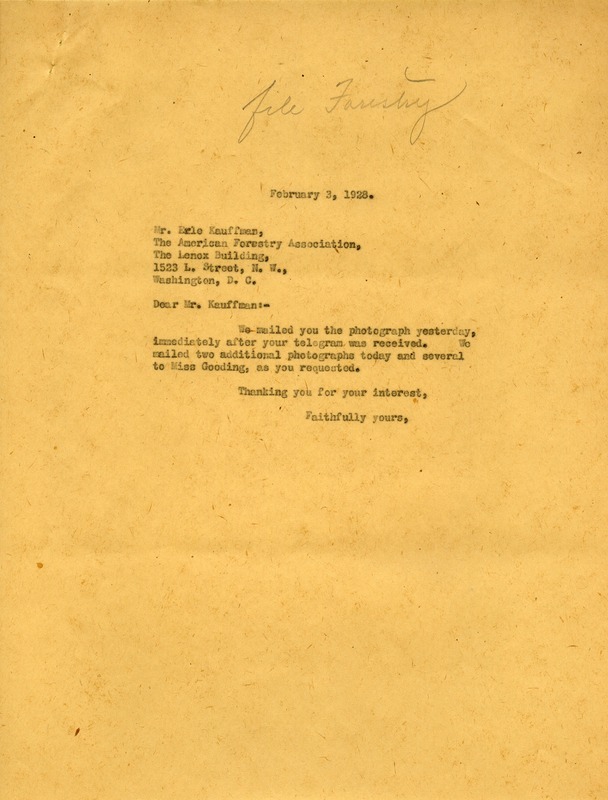 The Berry Schools, “Letter to Erle Kauffman from the Berry Schools.” Martha Berry Digital Archive. Eds. Schlitz, Stephanie A., Sherre Harrington, et al. Mount Berry: Berry College, 2012. accessed April 20, 2019, https://mbda.berry.edu/items/show/7545.